Gaming has become a great pass time for many. Video games are dominating what used to be a sad, sullen world. A mouse is a simple tool that you require for gaming. A good mouse is comfortable to use and precise. Not any mouse can be used to navigate through games. A good mouse has to have large sensors, good grip and must be durable to survive the number of tasks they carry out during gaming. You may have tried a mouse that broke soon after you bought it or one that did not respond when you clicked or aimed at something during gaming. A good mouse is a must-have for that ultimate gaming experience. Here is a look at the top 5 gaming mouse that you must have. 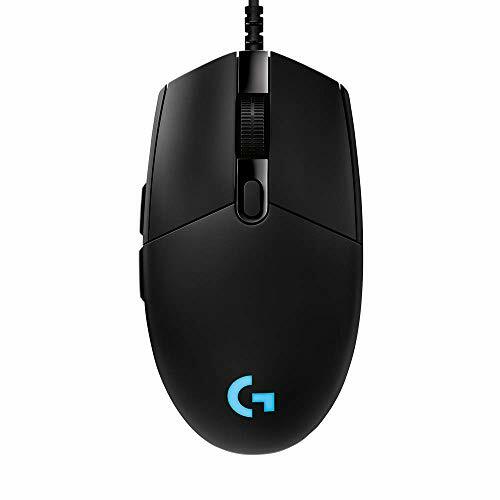 The Logitech G Pro Hero is one best mouse for casual pc gamers. The mouse is a high-performance 16K sensor. The mouse will guarantee you ultimate gaming speed, accuracy and a 16,000 DPI range. The mouse has also equipped with mechanical switches and a spring button tensioning system. The system ensures every click is almost instantaneous. The mouse has a programmable RGB Lighting and LIGHTSYNC Technology. The lighting allows lighting from nearly 16.8 million colors. It has a customizable button that you can use the commands of choice. The mouse is comfortable and durable. The switches are set for up to 50million clicks. The Corsair M65 Pro RGB has a highly accurate sensor with 12,000 DPI. The sensor is ideal for gaming. The mouse has a well-built structure which is lightweight and optimal mass distribution. You can set your own Center of gravity to suit your playing style. 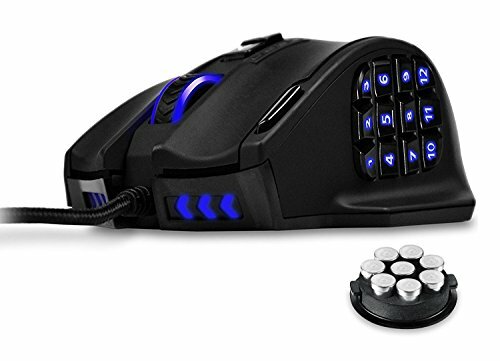 The mouse has eight buttons which are customizable. The mouse also has high- capacity Omron switches that have up to 20 million clicks. The surface calibration tuning utility allows you to get the exact spot that you want to click. It also has the Optimised sniper button positioning that can let you switch to match up to the game needs. A surface calibration running feature. Comfortable to play with and has a great sensor. Scroll button is known to break easily. The Razer DeathAdder Elite has a great optical sensor with 16,000 DPI which makes it extremely accurate. The mouse has up to 450IPS with 99.4% resolution accuracy. It has a great shape which makes it efficient and comfortable. The mouse, therefore, is great for gaming as you can spend hours on it. The switch buttons are laser mechanical thus you can use them for up to 50million clicks. It has over 16.8 million color options which are customizable which makes it possible to customize the scroll wheel and the Razer logo. 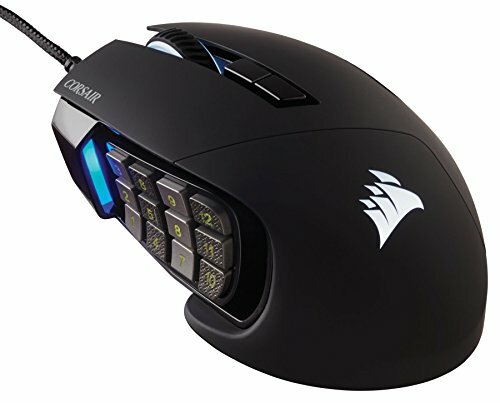 The Corsair Scimitar Pro RGB has 12 programmable slide buttons. The buttons make it unique as you can make it carry out many commands. The mouse has a great sensor system with 16,000 DPI for an excellent gaming experience. It has a great texture to ensure proper grip. The surface calibration tuning feature is another great feature that you will enjoy when gaming. It has onboard storage with hardware macro playback. It comes with a 1.8-meter braided cable. The Utech Smart Venus has 16,400 DPI and 1000Hz polling rate. 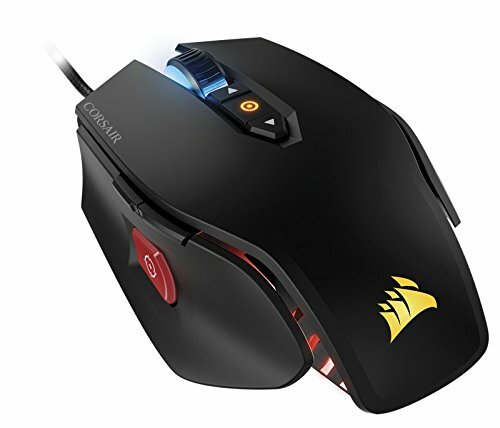 This mouse also has 12,000 FPS and 30G acceleration to make that game more fun with the 100-150 In/s cursor speed. The mouse has 18 customizable buttons, five savable memory files, and 16 million LED color options. The mouse is durable with smooth Teflon feet pads. It has a great feel with breathing lights in 5 color modes and a sleek design. The mouse comes with an 18-month warranty from the manufacturer.